The tribe of Ghifar was one of the Arab Pagan tribes. It lived near al-Madina al-Munawwara (Yathrib), where the Makkan trading caravans passed. 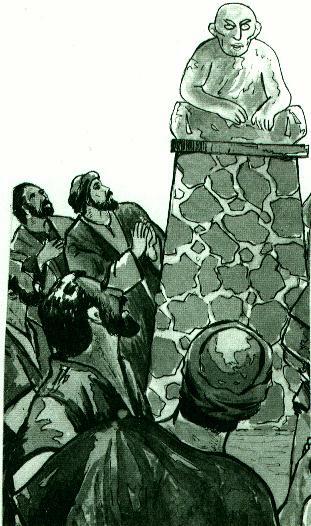 The members of the tribe of Ghifar worshipped an idol named Munat. They thought that Munat decided predestination and chance. They visited and sacrificed sheep for it. One day, a poor young man belonging to the tribe of Ghifar went to Munat. He gave Munat some yogurt and began looking at it. But Munat was motionless and did not drink the yogurt. He waited. A fox passed by Jundub but did not see him. The fox drank the yogurt and, in addition, it raised its leg and urinated in the ear of Munat. Still Munat was motionless. The young man laughed. He sneered at Munat. Then he criticized himself because he worshipped a dumb rock, which did not understand anything. People, hear and understand! He who lives will die! And he who dies will perish. Future things will happen. Why do I see people go and not come back? Are they satisfied with the stay there? Or have they left anything there, so they have slept? Jundub looked at the blue, clear sky and at the wide desert. Then he remembered what the fox did to Munat. He believed that the world had a God greater than Munat, Hubal, al-Lat and all idols. Since then Jundab bin Jundah had deeply believed in the Creator of the sky and the earth. The people of the Book (Christians and Jews) gave good news of the appearance of a new prophet whose time was about to come. The Arab tribes reported the news. Those who sneered at the idols longed for the coming of the new prophet. There’s a man in Makkah who says that there is no god but Allah and claims that he is a prophet. Which tribe does he belong to? He belongs to the Quraish. Which tribe of the Quraish does he belong to? He belongs to Bani Hashim. What have the Quraish done? They’ve accused him of lying. They say that he’s a magician and an insane. The man went away, but Jundub thought again and again. Jundub thought to send his brother Anees to Makkah to get him some news about the new Prophet. Anees set off to Makkah. Anees covered hundreds of miles. I’ve seen a man. The man orders people to do good and avoid doing evil. He invites them to worship Allah. I’ve seen him praying near the Ka’aba. I’ve seen a young man, his cousin Ali, praying besides him. And I’ve seen a woman, his wife Khadijah, praying behind them. Then what have you seen? This is what I’ve seen. But I didn’t dare to approach him because I was afraid of the Quraishi leaders. Jundub was dissatisfied with what he heard. So, he set out for Makkah to know the Prophet. When the Gheffarian young man arrived in Makkah, the sun was about to set. He went round the Ka’aba, then he sat in a corner of the Holy shrine to take rest and to think about a way to meet the Prophet (s). It got dark. The Ka’aba became empty of people. In the meantime, a young man came into the yard of the Holy Mosque. He began going round the Ka’aba. You’re a stranger, aren’t you? Jundub was following the young man silently. In the morning, Jundub thanked the young man for his good hospitality. He saw him off and set out to the Zam Zam well to see the Prophet (s). The hours passed. Jundub waited till it got dark. Again the young man came and went round the Ka’aba. He saw the foreign man at his place. Isn’t it time to know your house? Come with me to the house. I can see you’re thinking, what’s your need? I’ll tell you if you keep it a secret. I’ll keep it a secret if Allah pleases. I’ve heard about the appearance of a Prophet in Makkah and I want to see him. Allah has guided you. I’ll show you his house. Follow me at a distance. When I see a suspicious person, I’ll stop as if to repair my slippers. Then don’t stop just go on your way. The young man went on walking to our Master Muhammad’s (s) house. At the same time Jundub was following him. Jundub came into the Prophet’s house and met our Master Muhammad (s). He was before a man embodying all good manners. From the tribe of Ghifar. How shall I become a Muslim? Islam is to say there is no god but Allah and I am Allah’s Apostle. Avoid doing evil actions. Follow good manners. Stop worshipping the idols. Worship Allah only. Don’t waste your money. Don’t oppress people. I confess that there’s no god but Allah and that you’re Allah’s Apostle. I am satisfied with Allah as my Lord and with you as my Prophet. At that moment, another great personality was born. It was the personality of the great companion Abu Dharr al-Ghifari whose full name was Jundub bin Junadah. By Allah, I’ll spread Islam. Who was the young man who showed me your house? He was my cousin Ali. Abu Dharr, keep your Islam a secret and go back to your homeland. Abu Dharr realized that Allah’s Apostle was worried about him because the Quraish would kill him. By Allah, I’ll spread Islam among the Quraish whatever may be. In the morning, Abu Dharr set off for Ka’aba, Allah’s Holy House. The idols were motionless at their places. Abu Dharr was finding his way while the Quraishi tyrants were thinking about the new religion. Quraish, I confess that there’s no god but Allah and that Muhammad is Allah’s Apostle. The idols and the hearts of the polytheists shook. Who is abusing our gods? They rushed towards Abu Dharr hitting him a lot, until he was unconscious. Blood flowed out of his body. Woe unto you! Do you want to kill a man who belongs to the tribe of Ghifar? Don’t you know that your trading caravans pass by his tribe? Abu Dharr recovered and went to Zam Zam well. He drank water and washed the blood off his body. I confess that there’s no god but Allah; there’s no partner with him. And I confess that Muhammad is Allah’s Apostle. The Quraish attacked him like a pack of wolves. They hit him a lot. He fell to the ground unconscious and al-Abbas saved him again. Go back to your people and invite them to Islam. I’ll go back to my people and I won’t forget what the Quraish have done to me! Abu Dharr came back to his tribe and began inviting them to the light of Islam. 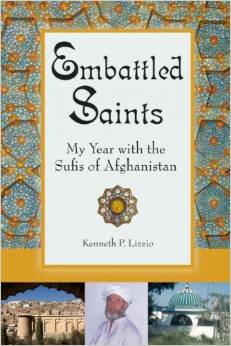 His brother Anees, his mother and a half of his tribe believed in Islam. We won’t believe in Islam till the Prophet comes. Days, months and years passed. Our Master Muhammad (s) immigrated from Makkah to Madina. The news reached Abu Dharr and so, he and his tribe went outside the town to receive the Prophet (s) on the road. Allah’s Apostle, my brother, my mother and a lot of my tribe have believed in Islam. Allah’s Apostle, Abu Dharr has taught us what you’ve taught him. We’ve believed in Islam and we’ve confessed that you’re Allah’s Apostle. We confess that there’s no god but Allah and that Muhammad is Allah’s Apostle. May Allah forgive Ghifar; may Allah save Aslam. Has Allah’s Apostle told you anything? Yes, he has ordered me to do seven things. He has ordered me to love the poor and to approach them. He has ordered me to look to those who are lower than me not to those who are higher than me. He has ordered me to maintain close relations with my relatives even if they turn their backs on me. He has ordered me not to ask anyone anything. He has ordered me to say the truth even if it is bitter. He has ordered me not to fear anyone in Allah’s way. And he has ordered me to say often: There’s neither might nor power but with Allah, because they’re the treasure under the Throne. Abu Dharr went on guiding and teaching his tribe. He was a model Muslim believer. Abu Dharr, the mosque has greetings. They’re two raka’as. Allah’s Apostle, which act is the best? To believe in Allah, the Almighty and to strive in His way. Which believer is most perfect? Allah’s Apostle, which believer is safest? He, from whose tongue and hand Muslims are safe. Allah’s Apostle, which immigration is the best? Allah’s Apostle, which alms is the best? The alms of the poor. Allah’s Apostle, which verse is the best? Allah’s Apostle, how many are the prophets? One hundred and twenty four thousand Prophets. Abu Dharr, four prophets are Assyrian. They’re: Adam, Sheth, Idrees-the first to write with pen and Noah. And four prophets are Arab. They’re Hud, Salih, Shuaib and your Prophet. Allah’s Apostle, how many books has Allah, the Almighty? One hundred and four books. Fifty scriptures were sent down to Sheth. Thirty scriptures were sent down to Idrees. Ten scriptures were sent down to Ibrahim. Ten scriptures were sent down to Musa before the Torah. The Torah, the Bible, the Zaboor and the Furqaan (Qur’an) were sent down, too. Allah’s Apostle, what were the scriptures of Ibrahim (a)? Allah’s Apostle, what about Musa’s scriptures? “I wonder at the person who believes in death then he disbelieves. I wonder at the person who believes in fire then he laughs. I wonder at the person who believes in predestination then he becomes tired. I wonder at the person who sees the world and its changes then he trusts it. I recommend you to fear Allah, for it is the head of all religion. Read the Holy Qur’an. It is light for you in the earth and remembrance for you in the sky. Love the poor and sit with them. The Muslims became one nation. They had a government. They gained victory over the atheists and the Jewish enemies. The Arab tribes entered Allah’s religion in groups. Our Master Muhammad (s) was Allah’s Apostle for all men. So, he wanted Islam to cross the Arab Peninsula to spread all over the world. Our Master Muhammad (s) announced Jihad and ordered Muslims to get ready for Tabook, in the northern part of the Arab Peninsula. The Muslims were surprised to hear about the Prophet’s announcement and his challenge to the greatest power in the world at that time. Hercules will defeat them with his enormous armies. The hypocrites were always holding meeting in the house of the Jewish Suailim. They were always discouraging the Muslims from going to Tabook. The Prophet (s) wanted to leave Madina. He knew that the hypocrites would stay there. So, he decided to appoint his cousin Ali bin Abu Talib (a), the hero of Islam, successor over Madina to foil the hypocrites’ plots. The Prophet has appointed Ali to stay behind because he dislikes him. Allah’s Apostle, the hypocrites claim that you’ve appointed me to stay back because you dislike me. The hypocrites have told you lies. I’ve appointed you successor to protect Madina from their cunning plots. Ali don’t you accept to be my brother as Harun was Musa’s brother, but there will be no prophet after me. Yes, I accept, Allah’s Apostle. Ali was pleased with the Prophet’s words. So, he came back to Madina. 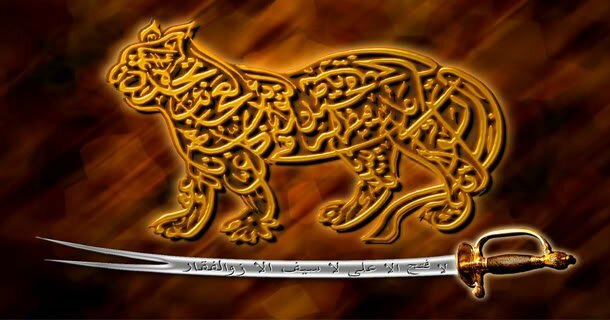 The Prophet (s) went on leading the Muslim army across the desert. Some Muslims with weak belief stayed behind and came back to Madina. A person has stayed behind. Leave him. If he does good, Allah will bring him to you. Allah’s Apostle, Abu Dharr has stayed behind. Leave him. If he does good, Allah will guide him to you. The Muslim army went on covering the desert. Abu Dharr was riding a weak camel. The camel was unable to walk. So, Abu Dharr was gradually staying behind the Muslim army. The camel kneeled. It was unable to walk even a step. Shall I go to Madina or shall I go on walking? But Abu Dharr was not thinking about coming back to Madina. He was a good believer. He loved our Master Muhammad (s). Therefore, he decided to follow the traces of the Muslim army on foot. 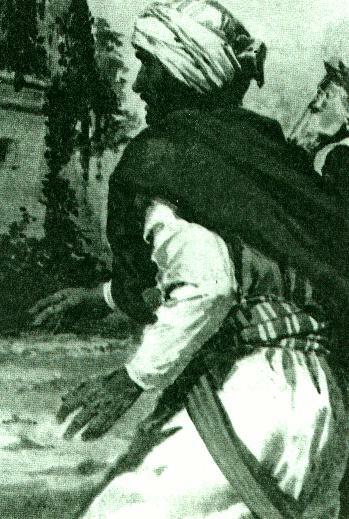 Abu Dharr began covering the hot desert. He used up his food and water. Still he went on walking. His firm belief in Allah and his love for the Prophet (s) were pushing him to do that. I won’t drink till my beloved Allah’s Apostle drinks. He filled his water-skin with water and went on covering the desert on foot. Abu Dharr was walking day and night to reach the Muslim army. The Muslims army camped at strategic areas to rest at night. Then it would go on advancing towards Tabook. Allah’s Apostle, that man is walking alone. By Allah, he’s Abu Dharr! Save him with water because he is thirsty. But Abu Dharr headed for the Prophet (s) holding the water-skin in order to pour water for Allah’s Apostle. Abu Dharr, why are you thirsty while you have water? Allah’s Apostle, I saw rain water in a pit in a rock. I tasted it. It was cool, fresh water, but I said I would not drink till Allah’s Apostle drank. Abu Dharr, may Allah have mercy upon you! You’ll live alone, die alone and enter Paradise alone. Some Iraqis will be happy on account of you – they’ll wash your body, shroud it, pray on it and bury it. Our Master Muhammad (s) died. The Muslims were sad. But Abu Dharr was sadder then them. He was loyal to Allah’s Apostle. So, he memorized his traditions and made them a lamp to lighten his way. Ali, don’t you accept to be my brother as Harun was Musa’s brother, but there will be no prophet after me. We regret that some Muslims had forgotten such traditions when the prophet (s) the Prophet (s) died. While his cousin and regent Ali bin Abu Talib (a) was busy with that disaster, the Muslims held a meeting and elected Abu Bakr. Many companions opposed that. Salman al-Farsi, about whom the Prophet (s) said: Salman is one of us Ahlul Bait, was one of them. Abadah bin al-Saamit, Abu al-Haitham al Taihan, Huthaifa, Ammar bin Yasir were of them, too. Fatima al-Zahra, the mistress of all women of the world, was dissatisfied with that. She was angry. After only few months, Imam Ali (a) was forced to accept Abu Bakr as caliph in the interest of Islam. So, Abu Dharr, the companion, accepted him too. Abu Dharr was always thinking about the interest of Islam and Muslims. So, he went to the fields of jihad to defend the Muslim government. In the meantime, the Romans were launching military attacks against the borders of the Muslim State. So Abu Dharr went with many companions to the war fronts to strive for Allah. The first Caliph was Abu Bakr. The Caliph Umar bin al-Khattab succeeded him. Abu Dharr was in Shaam (Syria). He and his Muslim brothers were striving there. Umar bin al-Khattab died. The Caliph Uthman succeeded him. But the third Caliph did not follow the Prophet’s and the companions manners. He brought his relatives and appointed them in offices of the government. He began filling their pockets with the Muslims’ money. He brought Marwan bin al-Hakam, whom our Master Muhammad (s) dismissed and made him real ruler for the state. People complained of Uthman’s policy. A delegation from Kufa went to the Caliph. They told him that their ruler was always drinking alcohol and that he was always going to the mosque drunk and vomiting in the prayer niche. But the Caliph did not do anything. Rather, Marwan abused the delegation and dismissed them. Some of the Prophet’s companions were with them. At least follow your predecessors’ way. So, no one will speak against you. Advise me! What shall I do for this lying Shaikh? Shall I hit, imprison, kill or banish him from the land of Islam? There’s no one under the sky or in the earth more truthful than Abu Dharr. Never sleep in the mosque again. What will you do if they send you out of the mosque one day? I’ll go to Shaam, the land of Jihad. If they dismiss you from it? I’ll come back to the mosque. If they send you out of it? I’ll take my sword and hit them with it. Shall I direct you to a better thing? The third Caliph decided to banish Abu Dharr to Shaam. Abu Dharr arrived in Shaam. Mu’awiyah ordered his soldiers to banish him to an area in the southern part of Lebanon, now called Jabal Amil. Abu Dharr began teaching people the Prophet’s traditions and his behaviour. He condemned the rulers’ corruption, their oppression towards people, their luxury. And as for those who hoard gold and silver and so not spend it in Allah’s way, announce to them a painful punishment. Allah curse those who enjoy good, but don’t apply it. Allah curse those who prevent people from committing abominable actions, but they commit them. Allah’s enemy, and enemy of Allah’s Apostle, everyday you pass by our palace and shout. I’ll ask Amirul Mumineen, Uthman for permission to kill you. Mu’awiyah send the Caliph a letter. In the letter, he told him about Abu Dharr’s action and about the gathering of the people around him. The Caliph ordered Mu’awiyah to send back Abu Dharr to Madina and to mistreat him. The Muslims heard the news. So, they crowded to see of the companion of Allah’s Apostle. Abu Dharr rode his she-camel. Some rude persons were leading the she-camel. They were not respecting his old age and weakness and this made him tired during his travel. Abu Dharr arrived in Madina in a bad condition. He went to the Caliph. He was about to fall over the ground because of intense weakness and tiredness. Woe unto you! Haven’t you seen Allah’s Apostle? Are your actions like his? You attack me violently as tyrants do! Get out of our homeland. Shall I go to Shaam, the land of Jihad? No! I won’t return you to Shaam! Shall I go to Iraq? Shall I go to Egypt? So, where shall I go? Shall I go to Najd desert? No! to the far-east, to al-Rabathah! Allah is great! Allah’s Apostle was truthful when he told me about that! He told me that I would be prevented from staying in Makkah and Madina and that I would die in al-Rabathah and that some Iraqis, on their way to al-Hejaz, would bury me. Al-Rabathah is an area at the eastern part of al-Madina al Munawarra. Abu Dharr disliked al-Rabathah because he worshipped the idols there during the pre-Islamic period. Abu Dharr liked Madina because the Prophet’s Holy Shrine and Mosque were there. He liked Makkah because Allah’s Holy House was there. He liked Shaam because it was the land of Jihad. Abu Dharr disliked al-Rabathah because it would remind him of worshipping the idols. But the Caliph banished him to that area. In the meantime, the Caliph ordered Marwan to take him and prevent the Muslims from seeing him off. The Muslims were afraid of the Caliph’s power. So, only a few companions saw him off. They were Ali bin Abu Talib (a), his brother Aqeel, al-Hasan and al-Husain (the Prophet’s grandsons), and the great companion Ammar bin Yasir. Abu Dharr, you’ve become very angry for Allah. The people are worried about their religion, and you are worried about your religion. So, leave what they are worried about in your hands and escape from them with what you’re worried about. They’re in need of what you’ve prevented them from. And you’re in no need of what they’ve prevented you from. Tomorrow you’ll know who will be the winner. Abu Dharr, nothing amuses you but the truth and nothing annoys you but the untruth. You know we like you, and you like us. Fear Allah because the fear of Allah is salvation. And be patient because patience is generosity. Uncle, be patient till you meet your Prophet (s). He will be pleased with you. Uncle, ask Allah to grant you patience and victory. May not Allah amuse those who annoy you. And He may not make safe those who have dismayed you. By Allah! If you want their world, they’ll make you safe. And if you’re pleased with their actions, they’ll love you. People of the House of Mercy, may Allah have mercy upon you all. When I see you, I remember Allah’s Apostle. Abu Dharr, may Allah have mercy upon you. You’ll live alone, die alone, rise from the dead alone and enter Paradise alone.